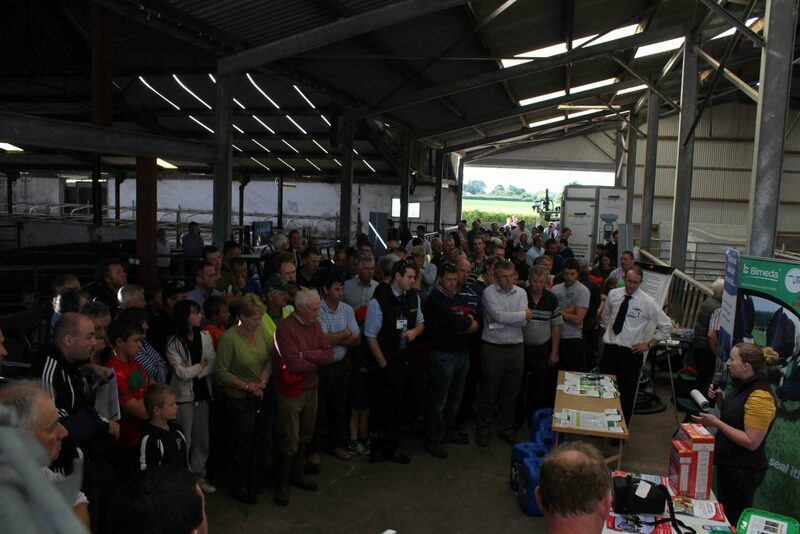 Gormanstown in Limerick saw an influx of 700 people, all headed to one location – the MacNamara Family Farm this week. The agenda for the day included demonstrations, presentations and talks on the latest research, technology and trends in dairy farming. 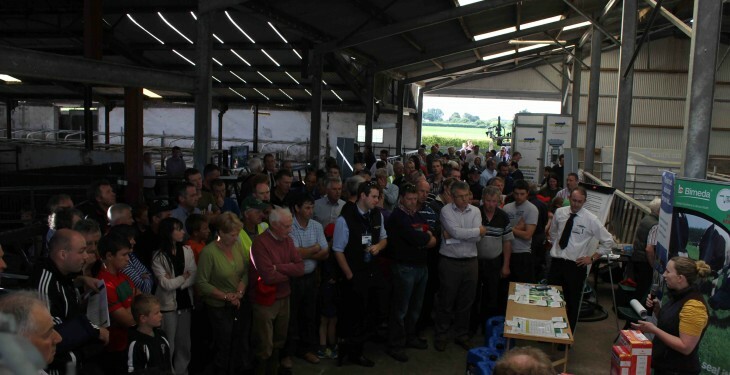 Experts from Dairymaster, Milk Quality Solutions, Boviseal, O’Donovan Engineering, Croom Concrete, Michael White Pump and Dairy Services, Breen’s Farm Machinery and Teagasc were on hand throughout the day, which kicked off with John MacNamara welcoming everyone to one of the most modern farms in Ireland. Winner of awards including the Macra na Feirme/FBD Young Farmer of the Future Award and the FBD National Farmyard competition MacNamara, after welcoming everyone, explained the history and the future of the MacNamara farm. He emphasised that all the companies present have their own specific role in making the farm a success. At the heart of the farm is Dairymaster’s 20 unit Swiftflo Swing parlour. Attendees got to see milking and the parlour’s labour saving devices including the automatic cluster removers, swiftflo bailing, feedrite in parlour automatic feeders, automatic scrapers and integrated drafting – the easiest method of separating cows, all at the touch of a button. The parlour allows for maximum throughput with the minimum of intervention needed from the farmer. Of course, with our Irish weather it is important that the cattle are properly looked after and that is where O’Donovan Engineering got involved. It installed housing facilities including cubicles, drinking troughs and mats on farm. it advised on safety and layouts as well as demonstrating its TruTest weighing equipment. Hygiene is hugely important and that is why Michael White Pump and Dairy Services installed a high pressure, low volume, washing system in the milking parlour and a steam washer for washing the cubicle house. It also gave a demonstration of a vibrating mole plough for laying water pipes on farm. It is not just the buildings and equipment that need to be kept spotless, teat hygiene is of vital importance also. MacNamara explained he uses supercow teat foam cleaner supplied by Eddie O’Callaghan. Supercow helps to reduce bacterial load on teats that can significantly improve milk quality. Boviseal work with MacNamara on the dry cow strategy for his herd. The dry cow period is a high-risk period for mastitis and is the ideal time for targeting subclinical infections. MacNamara uses Boviseal every year to prevent new infections and is pleased with the results. Croom Concrete supplied culverts for MacNamara’s new cattle underpass. All precast box culverts are designed to the latest NRA specifications and all units are manufactured to relevant standards. Breen’s Farm Machinery had a variety of machinery on display including Claas Arion Tractors, loaders and vacuum tankers to name a few. The Macra na Feirme/FBD Young Farmer of the Future Award winner, MacNamara was keen to acknowledge everyone who has helped him to become the award-winning farmer he is today.